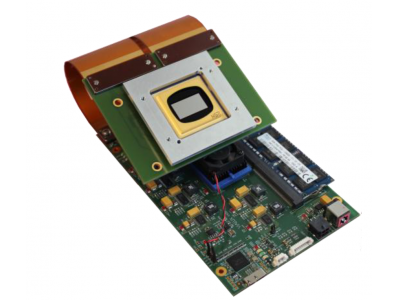 The LC-R 720 Spatial Light Modulator is based on a reflective LCOS microdisplay with a resolution of 1280×768 pixel (WXGA). With a pixel pitch of 20µm and a fill factor of 92% the LC-R 720 shows a reflectivity of around 70% in the visible. 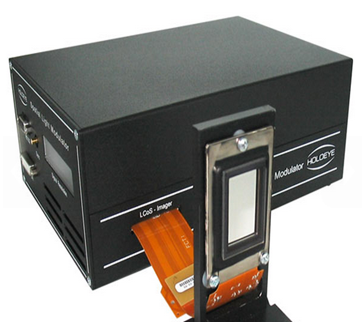 The very fast response time of < 3ms and the high image frame rate of 180 Hz makes the LC-R 720 Spatial Light Modulator a good choice for high speed applications such as one panel color sequential projection. 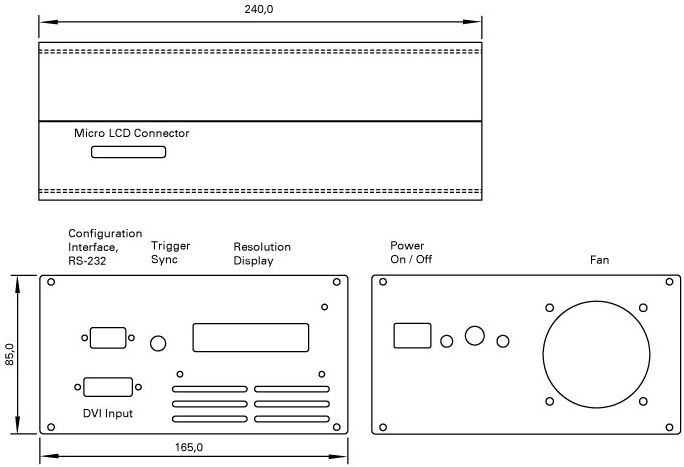 Besides projection applications the LC-R 720 can also be used for phase modulation. The device provides a phase shift around 1 Pi in the visible (e.g. ~1.2Pi @ 532 nm). 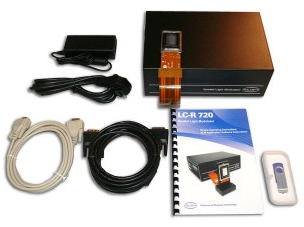 The LC-R 720 is delivered as complete developer kit and plug-and-play device. The display settings can be controlled by an user-friendly graphical user interface (GUI) software. The LC-R 720 spatial light modulator can simply be addressed like an external monitor using the standard DVI interface of the graphics card. No additional software or dedicated hardware is needed to operate the SLM. 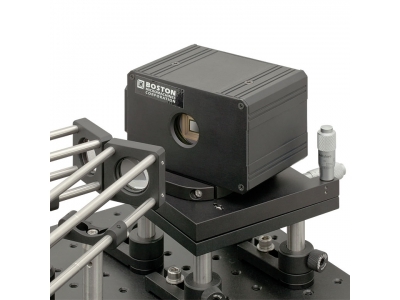 The LC-R 720 SLM is delivered with a GUI (Graphical User Interface) based calibration software. The calibration software can be used to change geometrical settings, brightness, contrast and the electrooptical response by applying a new gamma curve. For these advanced callibrations the RS232 interface has to be connected via a servial COM port of the computer (there are also USB to COM adapters available).